This is a gorgeous floor polisher. My wooden boards come up refreshed and it seems to make smaller scratches somehow disappear. I find that I get quite a few polishes from one bottle. This is a good cleaner for wood floors, no stickiness afterwards and the measuring lines on the side of the bottle is a good idea. The bottle lasts for quite a while too. This makes my floor shiny And new again. Easy to use. Smell is a bit strong for me but I like how my floor looks afterwards. Bit slippery in socks ???? 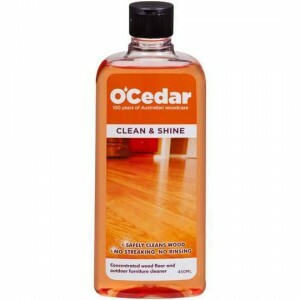 How would you rate Ocedar Clean & Shine Floor Polish?